From Marina del Rey and Venice Beach we kept driving north until we reached Santa Monica, one of the most popular beach towns in the Los Angeles area. Santa Monica was originally connected with Los Angeles in 1870, by means of the Los Angeles and Independence Railroad. Further growth happened at the beginning of the 20th century when amusement piers were built, and the Pacific Electric Railroad brought people from the big city to this seaside resort town. Today, Santa Monica is still a hugely popular waterfront destination and has some of most expensive and desirable real estate in the entire LA area. 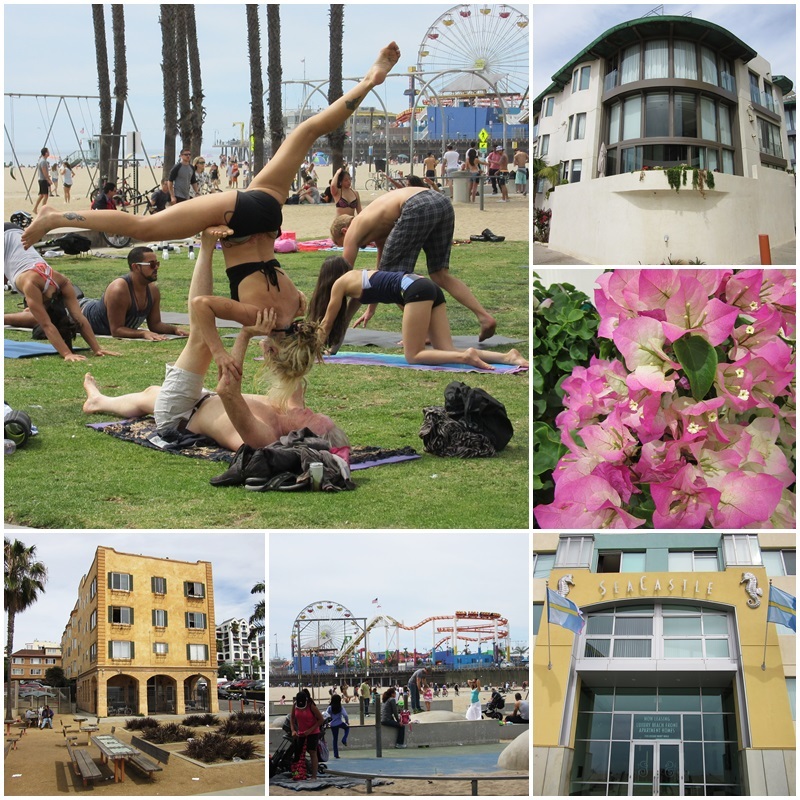 During our stroll on the Boardwalk of Santa Monica I noticed a historic hotel, right next to the sandy beach. Ever curious, I just had to check it out. The Casa del Mar Hotel by the Sea is a historic luxury hotel that opened in 1926. Designed in the Italian Renaissance Revival style, this hotel became a military hotel during World War II, was home to the controversial Synanon drug rehabilitation program and long housed a health resort until it was completely redesigned in the late 1990s at a cost of $50 million. 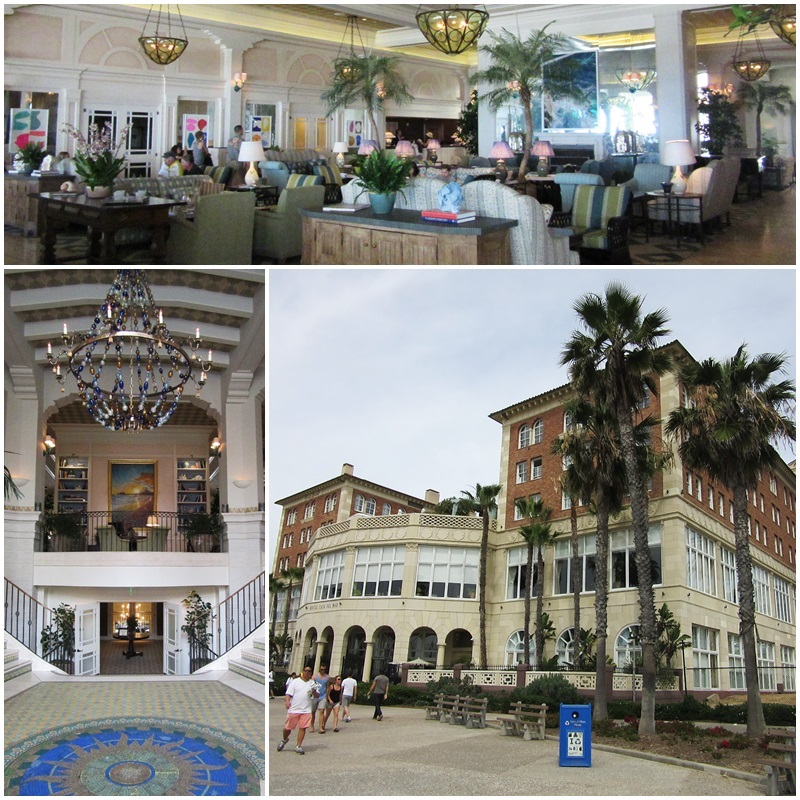 Today, Casa del Mar is on the National Register of Historic Places and a member of The Leading Hotels of the World. 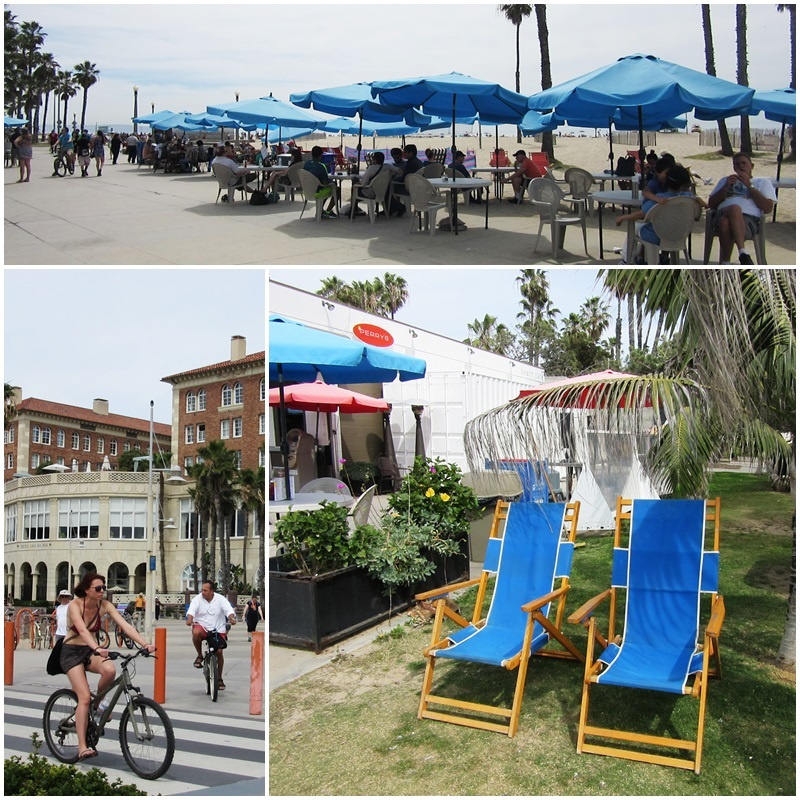 Santa Monica Beach is a very vibrant place that bustles with activity virtually around the clock. This 3 mile (almost 5 km) long beach attracts the locals and visitors from around the globe. It’s a great place for walking, bicycling, and surfing; you can also play beach volleyball, tennis or have fun in a skate park. 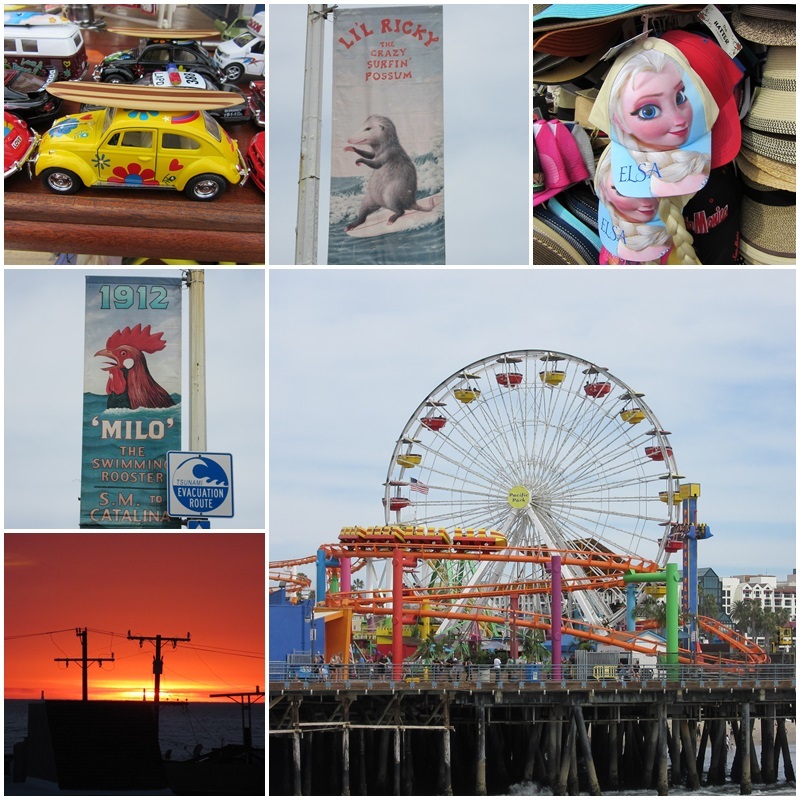 Most of all – Santa Monica Beach is an awesome place for people watching. The big attraction in Santa Monica is the pier, an iconic structure that opened in September of 1909. 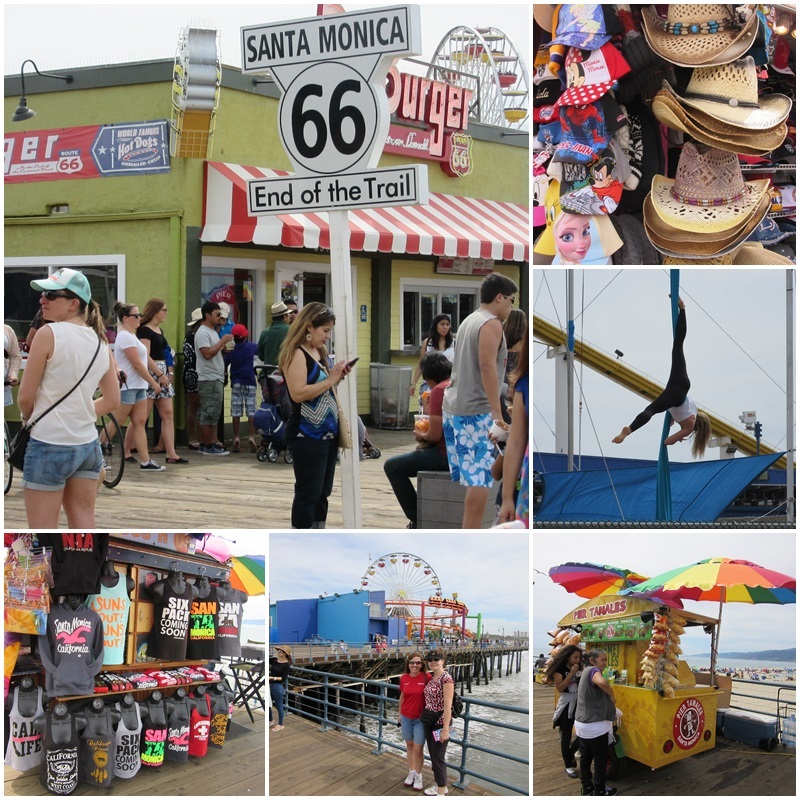 The Santa Monica Pier is the end of the legendary Route 66, the “Main Street of America” that went from Chicago, Illinois, through Missouri, Kansas, Oklahoma, Texas, New Mexico, and Arizona before it ended in Santa Monica in California. Located on this historic pier is Pacific Park, a family amusement park with a unique solar-paneled Ferris wheel. Plenty of vending booths line the pier and at the end there is the Marisol Cocina Mexicana Restaurant. The Trapeze School of New York and the Playland Arcade also have a home on the Santa Monica Pier. 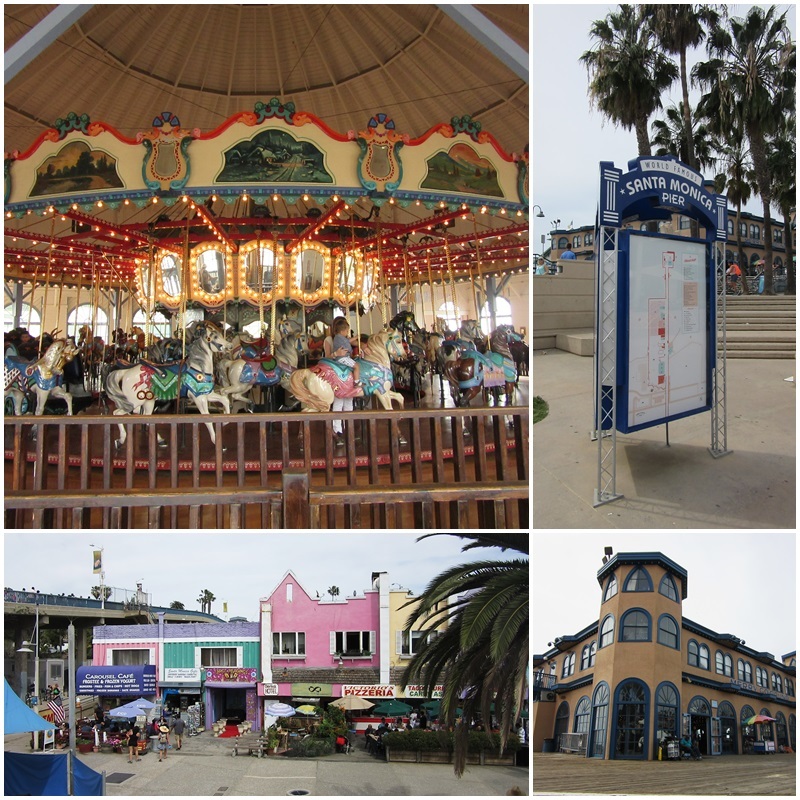 At the foot of the Santa Monica Pier is a carousel that is housed inside the Santa Monica Looff Hippodrome, a building that was designed in 1916 and named after Charles I.D. Looff, a master carver who built more than 50 hand-carved carousels, roller coasters and Ferris wheels. The Santa Monica Pier Aquarium is located underneath the pier and features many different exhibits on animals such as sharks, octopus, crustaceans, various species of fish, eels, molluscs and crabs. Several retail shops and restaurants are located next to the pier and the area is buzzing with people at all times of the day. For more than a century now, the Santa Monica Pier has been home to a variety of curious and sometimes bizarre attractions. Depicted on banners on the pier, these historical attractions recall oddities such as “Lil Ricky, the Crazy Surfin’ Possum”, “Milo, the Swimming Rooster”, or “Mr. Roman, Creator of the Antler Dance”. Souvenir shops sell all sorts of trinkets while the Pacific Park amusement park entertains families with its rides such as the Pacific Wheel – the world’s only solar-powered Ferris wheel, Inkie’s Wave Jumper, Inkie’s Pirate Ship, and the West Coaster – the only steel oceanfront steel roller coaster on the West Coast. Our visit to California had come to an end but our brief taste of the Los Angeles area confirmed that we will definitely want to visit again.